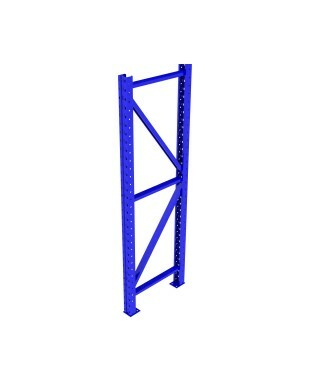 Cresswell manufacture industrial heavy-duty welded storage rack of different sizes for warehouse. Welded racking frames are the most common in North America. 14 gage thickness bracings are welded to the racking post every 42". Racking post is available in a range of steel thickness (gage) depending on weight requirements. Standard required hardware per frame : 2x Anchors 1/2" x 4 1/4", 3x Shims 3.5"x4.5". Welded frames are the most common in North America. 14 gage thickness bracings are welded to the racking post every 42''. 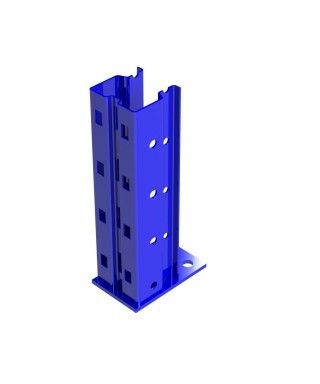 Racking post is available in a range of steel thickness (gage) depending on weight requirements. Standard required hardware per frame : 2x Anchors 1/2''x 4 1/4'', 3x Shims 3.5''x5.5''. 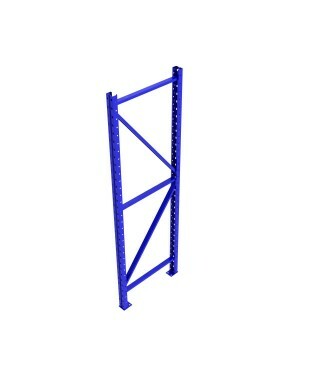 Welded frames for racking are the most common in North America. 14 gage thickness bracings are welded to the racking post every 42". The 4"x3" racking post has the better capacity. Standard required hardware per frame : 2x Anchors 1/2"x 4-1/4", 3x Shims 4.5"x5.5". © Copyright 2018, Cresswell Industries Inc.